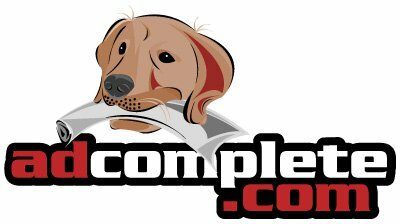 AdComplete is an independent software company specializing in the development of online advertising and marketing software solutions for the Microsoft server platform and mobile internet devices. Their core product offerings include ad serving software, affiliate marking software and email marketing software. Affiliate Wiz is an affiliate tracking software and affiliate marketing software for managing an affiliate marketing program. AdComplete's Affiliate marketing software is written specifically for the Windows.net 4.0 platform. The user provides affiliates with a special link to the brand site on Affiliant Wiz in the form of a text link or image or even a picture of the product. The affiliate displays the brand link on their site, allowing traffic from the affiliate right to the brand. BanManPro is internet ad serving software also called banner rotation software or banner software. Ban Man Pro will greatly simplify the process of managing and rotating banners on your web site(s). Many advertisers are reluctant to purchase internet ad space unless you can provide them with a means of tracking their impressions and click-through rates. Ban Man Pro ad management software does all this and more. eNewsletter Pro is email newsletter software and email marketing software for managing and distributing HTML or Text formatted newsletters via email. AdComplete's email marketing software enables opt-in email lists, email newsletters, email announcements, email list hosting and direct email campaigns. The product supports an unlimited number of mailing lists and newsletters. Each person can subscribe to one or more Newsletter Lists. The system uses a confirmed opt-in method to prevent malicious behavior. eNewsletter Pro tracks full statistics with each email marketing campaign including views/opens, and clicks on each link. These statistics can be drilled down to individual subscribers.